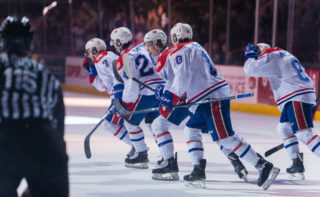 The Spokane Chiefs earned their second win of the 2017 WHL Pre-Season on Sunday afternoon in Everett, besting the Seattle Thunderbirds, 5-2. 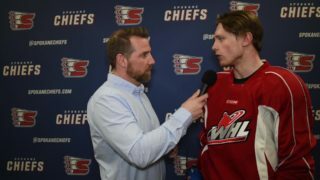 Hayden Ostir, who scored twice in Saturday’s 3-1 win over Vancouver, opened the scoring again on Sunday, putting the Chiefs up 1-0 just 1:34 into regulation. 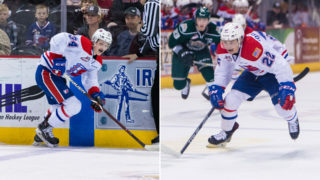 Milos Fafrak, the Chiefs’ new Slovak import forward, earned an assist along with second-year winger Riley McKay. 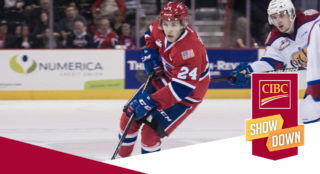 The Thunderbirds responded with a power play goal at the 4:49 mark from Zack Andrusiak, but Spokane regained the lead under three minutes later as Ethan McIndoe scored his first of the exhibition season off assists from Fafrak and defenseman Jeff Faith. Seattle tied it once again midway through the second period as Aaron Hyman scored to make it 2-2 into the second intermission. 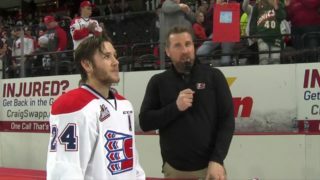 The third period was all Chiefs as familiar names Kailer Yamamoto and Jaret Anderson-Dolan each scored to give the Chiefs a cushion into the final minutes. Second-year defenseman Ty Smith earned an assist on each goal. Sophomore blueliner Matt Leduc sealed the deal with an empty net goal to reach the final score of 5-2. The Chiefs were outshot overall, 36 to 31. They finished 0-for-4 on the power play and 7-for-8 on the penalty kill. Dawson Weatherill started in net for Spokane and made 34 saves. 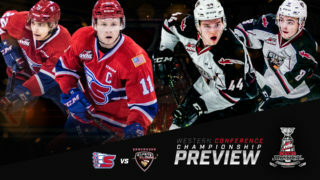 The Chiefs (2-1-0-0) continue their pre-season schedule on Thursday, September 7 in Kennewick as they’ll face the Portland Winterhawks at 3 p.m.